Create your online store now. 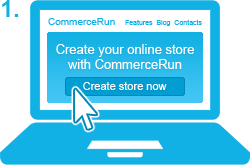 Use CommerceRun to open a successful e-commerce shop without a high cost or need for any technical knowledge. Try it now! 30 day free trial. No fees, no credit card deposit needed. Are you an offline seller? you can start make online sales today. put it on your store's door. Now you are ready to get orders from your online shop. Use CommerceRun 30 days free. After this term choose the most suitable plan for your needs. Try now! No credit card, 30 days free. Privet from our East Europe users. I never had experience in e-commerce before. I visited a conference Internet for business and faced to a new opportunity for my shop. I made my e-shop very fast, and now I am happy because my pretty e-shop brings happyness for a lot of children. I have a big sport shop. But one day in my city concurent shop was opened. And friens told me about new e-commerce service. I made e-shop there, I did it myself and now I am prowd of my e-shop and I will advice recommerce to everybody. 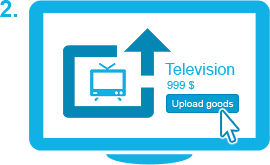 Try our online store builder! Free start, no risk. Any questions? We are happy to answer them! 2012-2019 © Recommerce Inc. 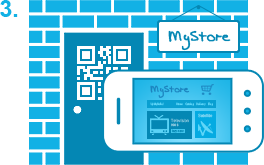 Improve your business through online store.